Fragrance is an essence of long-term memories. One whiff of a childhood aroma can set the memory in motion, bringing back thoughts, faces, and feelings long forgotten. Fragrance consists of volatile molecules that float in the air. Millions of olfactory receptor cells line the nose, and aroma causes these nerves to fire and send messages to the limbic area of the brain. From there, the messages travel to other parts of the brain, activating thought and memory. The pituitary gland is also stimulated to release chemical messages that travel via the blood to glands and organs that create physical body responses. This means that a scent has the potential power to activate a number of physical and emotional responses. Aromatherapy is the ancient art of using essential oils to benefit your physical, spiritual and psychological well-being. Essential oils have been used for centuries as healing agents, fragrance for promoting health and relaxation, as well as a guard against bacteria, molds, fungi and other microorganisms. Scientists have referred to essential oils as the life force of a plant. Many essential oils are very complex molecules. A single oil can contain hundreds of constituents that are molecularly aligned in exactly the right manner to trigger a number of responses in the human body. Essential oils are stored in minute quantities in special cells, ducts, or glandular hairs that are distributed among the roots, leaves, bark, stems, and flowers of the plant. When concentrated, a single drop or two of distilled therapeutic-grade oil can produce quick and significant results. Essential oils can be absorbed in several ways; through our sense of smell, through our skin, even as a dietary supplement. Aroma is absorbed through our nose to the brain where memory, hunger, moods, and even sexual responses are evoked. Before knowing we smell an aroma, our subconscious mind reacts to it. Aromatherapy can benefit stress-related problems and promote a positive state of energy, health and well-being. Because of their molecular structures, essential oils are rapidly absorbed when applied to the skin. Silky smooth to the touch, they penetrate the outer layer of the skin. It is often possible to smell some oils on the breath shortly after applying them to the body. The combination of touch therapy with the right essential oils can have a very natural therapeutic effect on someone, rather than treating the resident with psychotropic prescription drugs. All essential oils are “GRAS” – Generally Regarded as Safe (by the FDA) for internal use or certified as Food Additives, which can be safely taken internally as a dietary supplement. Some oils such as valerian, lemon, grapefruit, orange and tangerine are more effective when taken orally. There is ample research to demonstrate the human response to essential oils. Some oils such as Peppermint, Rosemary, Jasmine, Lemongrass and Grapefruit stimulate and have an uplifting effect on the body. Others such as Lavender, Rose, Geranium, Sandalwood and Ylang-Ylang have a relaxing or sedating effect on the body. With Alzheimer’s residents, we can use uplifting oils in the morning to stimulate residents’ appetites and energy levels by diffusing the oils into the room or applying them directly to clothing or tissues. In the afternoon when many dementia sufferers often experience anxiety or “sundowning”, relaxing oils can be used for individuals or in a small group setting to relieve the anxiety without the use of psychotropic medications. Blends of oils have been developed specifically for this purpose, such as the blend of Peace and Calming, which includes the essential oils of Tangerine, Orange, Ylang-Ylang, Patchouly and Blue Tansy. Residents who have a habit of wandering during the night or with interrupted sleep cycles can find relaxation with a spritz of lavender oil on their pillowcase. A few drops on a tissue or diffused into their room can actually help with insomnia. Other oils can be used to boost self-esteem and create a grounding effect for tearful residents. A special blend of Spruce, Rosewood, and Frankincense called Valor has been used successfully to restore confidence and well-being in people. Another blend called Thieves was created based upon research about four thieves in France who protected themselves with Cloves, Rosemary, Lemon and Cinnamon while robbing plague victims. This blend was tested at Weber State University, Ogden, Utah, and found to have a 99.96 percent effective rate against airborne bacteria. Diffusing these oils can be very effective during the cold and flu season. Many hospitals in Europe routinely diffuse essential oils to purify the air. Simply put, essential oils act as the blood stream of the plant to ward off bacteriological attacks in their own natural environment. Extraction Method: Steam distilled from flowering top. Chemical Constituents: Monoterpene; á pinene, â.pinene, camphene; Sesquiterpenes; Non terpene alcohols (45%), geraniol, borneol, lavandulol; Esters: linalyl acetate (30-34%); lavanduyle, Oxides: 1,8 cineol; Ketones; Sesquiterpenones; Aldehydes; Lactones: Coumarins. Action: Antiseptic, analgesic, antitumoral, anticonvulsant, sedative, anti-inflammatory. Lavender is beneficial for cleansing cuts and wounds and is ideal for skin care, since it prevents the build up of excess sebum, a skin oil that bacteria feed on. Lavender has also been clinically evaluated for its relaxing effects. Found In: Aroma Siez, Brain Power, DragonTime, Envision, Forgiveness, Gathering, Gentle Baby, Harmony, Legacy, M-Grain, Mister, Motivation, RC, SARA, Surrender, Trauma Life, LavaDerm Cooling Mist, Lavender Volume Hair & Scalp Wash, Lavender Volume Nourishing Rinse, Tender Tush Ointment, Satin Scrub-Mint, Orange Blossom Facial Wash, Sandalwood Moisture Creme, Sunsation Suntan Oil, Wolfberry Eye Creme, Satin Scrub-Juniper Dragon Time Bath Gel, Lavender Rosewood Bar Soap, Estro (tincture), Dragon Time Massage Oil, Relaxation Massage Oil, AuraLight, and ProGen. Traditional Uses: The French scientist René Gatefossé was the first to discover lavender’s ability to promote tissue regeneration and speed wound healing when he severely burned his arm in a laboratory accident. Today, lavender is one of the few essential oils to still be listed in the British Pharmacopoeia. Indications: Burns (cell renewal), sunburns (including lips), dandruff, hair loss, allergies, convulsions, herpes, headaches, indigestion, insomnia, high blood pressure, menopausal conditions, nausea, phlebitis, tumors, premenstrual conditions, scarring (minimizes), skin conditions (acne, dermatitis, eczema, psoriasis, and rashes) and stretch marks. It may be used to cleanse cuts, bruises, and skin irritations. 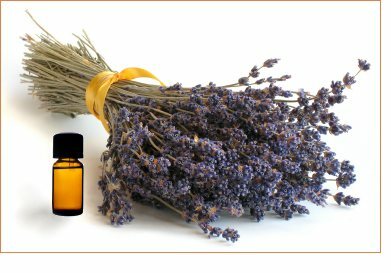 Other Uses: Lavender is a universal oil with many different applications. It may help arthritis, asthma, bronchitis, convulsions, depression, earaches, heart palpitations, high blood pressure, hives (urticaria), insect bites, laryngitis, nervous tension, respiratory infections, rheumatism, and throat infections. Application: Diffuse or apply topically. Has a wide range of uses. Apply where you would use a deodorant. Safe for use on small children. May also be added to food or water as a dietary supplement. Safety Data: If currently under a doctor’s care or pregnant, consult physician prior to use. Companion Oils: Most oils, especially citrus oils, chamomile, clary sage, and geranium. Selected Research: Larrondo JV, et al. “Antimicrobial activity of essences from labiates.” Microbios. 1995; 82(332):171-2. Guillemain J, et al. “Neurodepressive effects of the essential oil of Lavandula angustifolia Mill.” Ann Pharm Fr. 1989;47(6):337-43. Kim HM, et al. “Lavender oil inhibits immediate-type allergic reaction in mice and rats.” J Pharm Pharmacol. 1999;51(2):221-6. Chemical Constituents: Monoterpenes: á. pinene (15-34%), â.pinene, camphene, myrcene, limonene á.terpinenes, terpinolene; Sesquiterpenes: â.caryophyllene; Monoterpenols: borneol (trace to 7%); Terpene Esters: bornyl acetate; Terpene Oxides: 1,8 cineol (trace to 20%); Monoterpenones: verbenon (15-37%), camphor (1-15%). Action: Mucolytic, expectorant, antispasmodic, antibacterial, antiseptic, and balance endocrine gland. Found In: Sandalwood Moisturizing Cream, and Legacy. Traditional Uses: The name of the oil is derived from the Latin words for dew of the sea (ros + marinus), According to folklore history, rosemary originally had white flowers; however they turned red after the Virgin Mary laid her cloak on the bush. Rosemary verbenon has been used to lower cholesterol. Indications: Respiratory infections, bronchitis, viral hepatitis, nervous tension, cardiac arrhythmia, cystitis, arthritis, and rheumatism. Other Uses: Because of its lower camphor and higher verbenon content, this chemotype of rosemary is milder than the cineol chemotype and so is especially well-suited for chest, lung, and sinus infections. It is ideal for skin care, and can be used to combat hair loss. Fragrant Influence: Less stimulating than rosemary CT cineol, rosemary verbenon can be clarifying for emotions and psychologically balancing. Safety Data: Epileptics should use with caution. If currently under a doctor’s care or pregnant, consult physician prior to use. Companion Oils: Basil, eucalyptus, lavender, marjoram, peppermint, and pine. This gentle fragrance is specifically designed for diffusing. It promotes relaxation and a deep sense of peace, helping to dampen tensions and uplift spirits. When massaged on the bottom of the feet, it can be a wonderful prelude to a peaceful night’s rest. It may calm overactive and hard-to-manage children. The oils in this blend have historically been used to help reduce depression, anxiety, stress, and insomnia. This blend along with Mineral Essence may be a healthy alternative to Ritalin. Blue Tansy (Tanacetum annuum) may help cleanse the liver and calm the lymphatic system, helping one to overcome anger and negative emotions promoting a feeling of self-control. It contains sesquiterpenes that can stimulate the pineal gland, which secretes the hormone melatonin, a hormone that enhances deep sleep. Patchouly (Pogostemon cablin) was used in India in ancient times as a trade commodity because of its earthy, musty fragrance and its ability to mask many different odors. Its fragrance reestablishes equilibrium while simultaneously quieting emotion and energizing the mind. Tangerine (Citrus nobilis) contains esters and aldehydes that are sedating and calming, helping with anxiety and nervousness. Orange (Citrus aurantium) was believed to bring joy, peace, and happiness to those who possessed it. It is elevating to the mind and body. Ylang Ylang (Cananga odorata) helps bring about a sense of relaxation and may help balance male and female energies. It balances equilibrium and inspires confidence and self-love. Application: Diffuse, wear as a perfume, apply on bottom of the feet, on wrists, and outside of ears. Put in bath water. Dilute with V-6 Mixing Oil or Massage Oil Base for a full-body massage. Companion Oils: Lavender (for insomnia) and chamomile (for calming). Fragrant Influence: A feeling of calming and emotional well-being. This fragrance stimulates the right brain, bringing about more creativity, a sense of well-being, and joy. It has been found to be relaxing and calming, especially for children, and works well as an air purifier. Orange (Citrus aurantium) was believed to bring joy, peace, and happiness to those who possessed it. It contains limonene, an antiviral compound, and citral, an antibacterial compound. It prevents the growth of bacteria. It is elevating to the mind and body and brings joy and peace. It has been recognized to help a dull, oily complexion. Tangerine (Citrus nobilis) contains esters and aldehydes that are sedating and calming, helping with anxiety and nervousness. It is anti-inflammatory, anticoagulant, may help decongest the lymphatic system, and works as a diuretic. Lemon (Citrus limon) has antiseptic-like properties and contains compounds that have been studied for their effects on immune function. It increases microcirculation, which may improve vision. It may serve as an insect repellent and may be beneficial for the skin. It has been found to promote leukocyte formation, dissolve cellulite, increase lymphatic function, and promote a sense of well-being. Its fragrance is stimulating and invigorating. Mandarin (Citrus reticulata) is appealing, gentle, and promotes happiness. Apply topically or diffuse, especially at meal time and before sleep. Because of its sedative and slightly hypnotic properties, mandarin may help with insomnia and is good for stress and irritability. It is antispasmodic, antiseptic, antifungal, supports hepatic duct function, and works as a digestive tonic. Grapefruit (Citrus paradisi) works as a mild disinfectant. Like many cold-pressed citrus oils, it has unique fat-dissolving characteristics. It may be beneficial for digestion, obesity, reducing water retention, and cellulite. Spearmint (Mentha spicata) oil helps support the respiratory, glandular, and nervous systems. With its hormone-like activity, it may help open and release emotional blocks and bring about a feeling of balance. It is antispasmodic, anti-infectious, antiparasitic, antiseptic, and anti-inflammatory. It has also been used to increase metabolism to burn fat. Safety Data: If pregnant or under a doctor’s care, consult your physician prior to use. May be irritating to those with sensitive skin. Avoid eye contact. In case of accidental contact, put a few drops of any pure vegetable oil in the eye and call your doctor if necessary. Never use water. Grapefruit, lemon, mandarin, and orange, may be photo-sensitizing. Avoid exposure to direct sunlight for 3 to 6 hours after use. Application: Diffuse, put in bath water, and dilute with V-6 Mixing Oil or Massage Base Oil for full body massage. Citrus Fresh may be worn as a perfume or cologne and be applied over the heart, on the wrists, and on the ears. It is excellent for children when dilution with V-6 Mixing Oil. Fragrant Influence: This blend creates an enjoyable aromatic fragrance at home or at work. Simple diffusion can be achieved by putting a few drops on a cotton ball and placing it on a desk or table. Note: A university in Japan experimented with diffusing different oils in the office. When they diffused lemon there were 54 percent fewer errors, with jasmine there were 33 percent fewer errors, and with lavender there were 20 percent fewer errors. When oils were diffused while studying and taking a test, test scores increased by as much as 50 percent. Different oils should be used for different tests, but the same oil should be used during the test as was used while studying for that particular test. The smell of the oil may help bring back the memory of what was studied. Extraction Method: Cold pressed from rind. It takes 3,000 lemons to produce a kilo of oil. Chemical Constituents: Monoterpenes: limonene (54-72%); Sesquiterpenes; Aldehydes; Coumarins and furocoumarins, contains flavonoids, carotenoids, steroids. Action: Anti-infectious, disinfectant, antibacterial (spores), antiseptic, antiviral. Lemon improves microcirculation, promotes white blood cell formation, and improves immune function. Found In: Citrus Fresh, Clarity, Forgiveness, Gentle Baby, Harmony, Joy, Legacy, Raven, Surrender, Thieves, Genesis Hand and Body Lotion, Lavender Volume Hair & Scalp Wash, Lavender Volume Nourishing Rinse, Berry Young Delights, Lemon-Sage Clarifying Hair & Scalp Wash, Lemon-Sage Clarifying Nourishing Rinse, KidScents Shampoo, Orange Blossom Facial Wash, Dragon Time Bath Gel, Evening Peace Bath Gel, Thieves Soap, Lemon-Sandalwood Soap, HRT (tincture), AlkaLime, AminoTech, Body Balance, CardiaCare, ImmuGel, ImmuneTune, JuvaTone, Mineral Essence, Power Meal, Super C, WheyFit, VitaGreen, and KidScents Detangler. Traditional Uses: Lemon has antiseptic-like properties and contains compounds that have been studied for their effects on immune function. According Jean Valnet, M.D., the vaporized essence of lemon can kill meningococcus bacteria in 15 minutes, typhoid bacilli in one hour, Staphylococcus aureus in two hours, and Pneumococcus bacteria within three hours. Even a 0.2% solution of lemon oil can kill diphtheria bacteria in 20 minutes and inactivate tuberculosis bacteria. Lemon oil has been widely used in skin care to cleanse skin and reduce wrinkles. Indications: Anemia, asthma, herpes, warts, shingles, bleeding, malaria, parasites, rheumatism, throat infection, ureter infections, and varicose veins. Other Uses: Lemon oil may be beneficial for anxiety, blood pressure, digestive problems, respiratory infections, and sore throats. It helps promote leukocyte formation, improves memory, strengthens nails, cleans the skin, and promotes a sense of well-being. Lemon has shown to have antidepressant effects in research done by Komori, et al.,1995. It may alsohelp brighten a pale, dull complexion by removing the dead skin cells. It serves as an effective insect repellent and works well in removing gum, wood stain, oil, and grease spots. Application: Diffuse or add a few drops to a spray bottle to deodorize and sterilize the air. Add 2 drops to water for purification or combine with peppermint (Mentha piperita) to provide a refreshing lift. Add to food or water as a dietary supplement or flavoring. Fragrant Influence: It promotes clarity of thought and purpose, as well as health, healing, physical energy, and purification. Its fragrance is invigorating, enhancing, and warming. Safety Data: If currently under a doctor’s care or pregnant, consult physician prior to use. Lemon oil is very photosensitizing, so avoid applying it to skin that will be exposed to direct sunlight or UV light. Companion Oils: Chamomile, eucalyptus, fennel, frankincense, geranium, juniper, peppermint, sandalwood, and ylang ylang. This is an antiseptic blend formulated for diffusing to help purify the home and work environment. It cleanses the air and neutralizes mildew, cigarette smoke, and disagreeable odors. When applied directly to the skin, Purification may be used to cleanse cuts and scrapes and may help neutralize the poison of bites from spiders, bees, hornets, wasps. Citronella (Cymbopogon nardus) is antiseptic, antibacterial, antispasmodic, anti-inflammatory, insecticidal, antispasmodic, and soothing to the tissues. Lemongrass (Cymbopogon flexuosus) has strong antifungal properties when applied topically. Lavandin (Lavandula x hybrida) is antifungal, antibacterial, a strong antiseptic, and a tissue regenerator. Rosemary (Rosmarinus officinalis) is antiseptic and antimicrobial and may be beneficial for skin conditions and dandruff. It may help fight candida and is anti-infectious and antispasmodic. Melaleuca (Melaleuca alternifolia) is antiseptic, anti-infectious, antibacterial, antifungal, antiviral, antiparasitic, antiseptic, anti-inflammatory, immune-stimulating, decongestant, neurotonic, and protects against radiation. Myrtle (Myrtus communis) is antibacterial and may support immune function in fighting cold, flu, and infectious disease. Application: Diffuse 15 to 30 minutes every 3 to 4 hours. Apply topically to disinfect and cleanse. Put on cotton balls to place in air vents in the home, car, hotel room, office, enclosed areas, etc. Put on cotton balls and place in air vents in the home, car, hotel room, office, and other enclosed areas for purifying and repelling insects. Companion Products: Melrose, Citrus Fresh, and Thieves. Valor helps balance electrical energies within the body, giving courage, confidence, and self-esteem. It has been found to help the body self-correct its balance and alignment giving relief of pain. The oils in this blend empower the physical and spiritual bodies to overcome fear and opposition when facing adversity. It helps build courage, confidence, and self-esteem. Valor has been touted as a chiropractor in a bottle. It has improved scoliosis for some in as little as 30 minutes, while other individuals require several applications. Valor has also been shown to change anaerobic-mutated cells back to their aerobic natural state. Rosewood (Aniba rosaeodora) is soothing and nourishing to the skin. It has been researched at Weber State University in Ogden, Utah for its inhibition rate against gram positive and gram negative bacterial growth. This oil is soothing, creates elasticity, and helps the skin rid itself of irritations and problems, such as candida. It is anti-infectious, antibacterial, antifungal, anti-viral, and antiparasitic. Blue Tansy (Tanacetum annuum) may help cleanse the liver and calm the lymphatic system helping one to overcome anger and negative emotions promoting a feeling of self-control. Its primary constituents are limonene and sesquiterpenes. European research shows that it works as an antihistamine, anti-inflammatory, and stimulant for the thymus gland reducing dermatitis, arthritis, sciatica, tuberculosis, and allergies. Frankincense (Boswellia carteri) is considered a holy anointing oil in the Middle East and has been used in religious ceremonies for thousands of years. High in sesquiterpenes, it helps stimulate the limbic part of the brain, which elevates the mind, helping to overcome stress and despair. It is used in European medicine to combat depression. Spruce (Picea mariana) helps to open and release emotional blocks, bringing about a feeling of balance and grounding. Traditionally, spruce oil was believed to possess the frequency of prosperity. Spruce is anti-infectious, antiseptic, and anti-inflammatory. Fragrant Influence: Gives a feeling of strength, courage, and protection. Pearce, Benjamin. Elder Care Activities: 105 Great activities that you can do at Home, in Assisted Living, a Retirement Community or Nursing Home. Warwick, NY: Elder Care Advisor Press, March 2013. Pearce Benjamin. Making the Move to a Retirement Community: A Complete Family Guide. Warwick, NY: Elder Care Advisor Press, March 2013. Pearce, Benjamin. 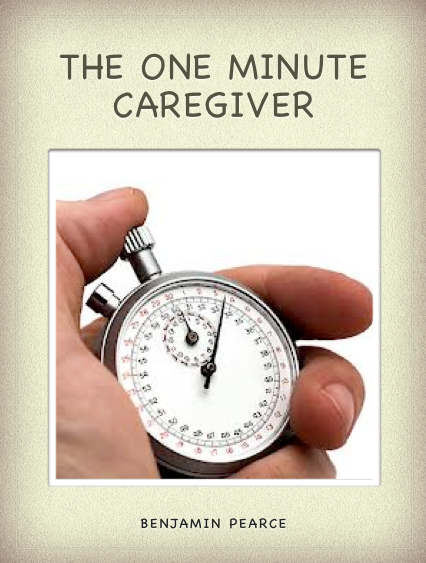 The One Minute Caregiver. Warwick, NY: Elder Care Advisor Press, April 2013. Pearce, Benjamin. Assisted Living and Memory Care Design: An Operator's Wish List. Warwick, NY: Elder Care Advisor Press, March 2013.